Paper Culture chose bamboo for its eco wall art since it’s one of the fastest growing plants in the world and it fit their sustainable beliefs. Bamboo requires no pesticides to grow and needs very little water. Paper Culture also plants a tree with every order sold. They use paper that’s FSC-certified as 100% post consumer recycled paper, they are Green-e certified and/or Green Seal certified, powered by wind power, elemental chlorine free and they are a CarbonFree® Partner of Carbonfund.org. Paper Culture makes invitations, stationary, announcements, holiday cards, wall art and more, too. Paper Culture chose bamboo for its eco wall art since it's one of the fastest growing plants in the world and it fit their sustainable beliefs. Bamboo requires no pesticides to grow and needs very little water. Paper Culture also plants a tree with every order sold. They use paper that's FSC-certified as 100% post consumer recycled paper, they are Green-e certified and/or Green Seal certified, powered by wind power, elemental chlorine free and they are a CarbonFree® Partner of Carbonfund.org. Paper Culture makes invitations, stationary, announcements, holiday cards, wall art and more, too. 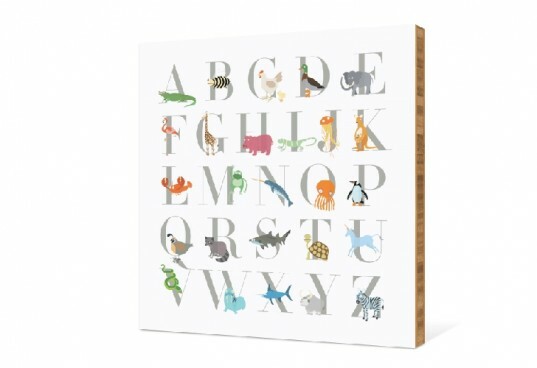 This Alphabet Animals A-Z Bamboo Wall Art is perfect for teaching your little one their ABC's. The art is mounted on tri layered bamboo ready to be hung in any nursery or playroom. Available in medium and large. Counting Sea Creatures 1–9 is a great way to introduce numbers to your toddler. Your child will have a blast counting dolphins, turtles, whales, and more. Available in medium and large sizes. The Baby Monogram Bamboo Wall Art is a perfect gift for new parents. 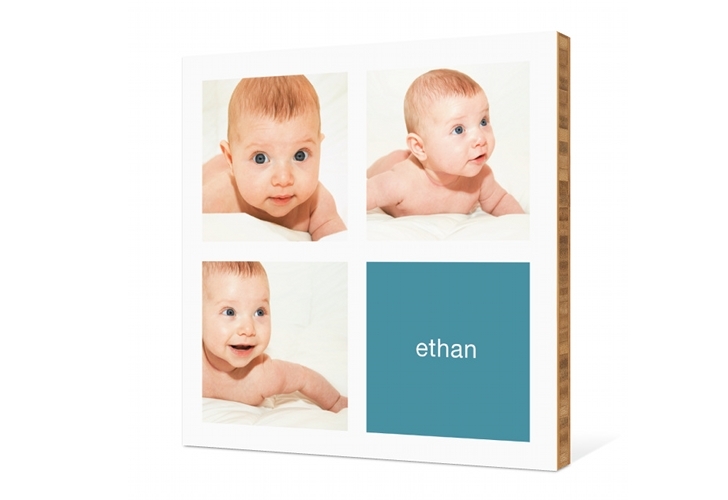 You are able to customize with your favorite photograph, name, and monogram. The Paper Culture designers can even custom match the colors to match your photograph. Available in mini, small, medium, and large. The Bamboo Wall Art Monkey Face is part of the animal face series perfect for any playroom or nursery. You are able to personalize with a name or saying. Available in mini, small, medium, and large. The Guitar Rockstar Bamboo Wall Art is perfect for any aged rockstar that is customizable with 3 different color choices. You can also personalize both the name and the initial. Available in mini, small, medium, and large.